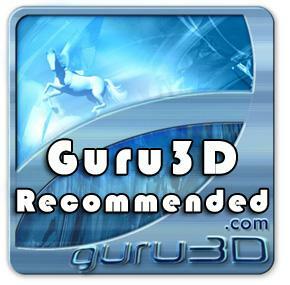 Guru3D just tested the AS6404T and gived Recommend Award to it! ".....We've stated it a couple of times already, you just can't go wrong with an Asustor NAS. Currently it is easily one of my top ranking preferred brands for a NAS. I run two units myself in my office LAN, they never fail me and are always responsive and fast. ASUSTOR as such offers refined, well-balanced, powerful and energy efficient NAS servers. As a consumer it is however not easy to make the right choice: how many HDD trays/bays do you need and do you need a very powerful solution? Do you want server like functionality and performance, do you need this unit as an HTPC? It is the conundrum of options that will make a choice hard. For the entry level we still say that the AS1002T / AS1004T offer tremendous amounts of functionality and features for the money, and they remain plenty fast as well. However, in a more SOHO environment, or if you need a centralized server at home for, say, file-streaming or backups or running your own web environment, well that's where a NAS like tested today comes into play. The AS6404T sits in the flagship range with its quad-core processor and 8 GB of dual-channel memory. We say it is money well invested, Asustor is going to back that hardware with a 3 year warranty. Also you may expect regular ADM software updates keeping your running software up-to-date and secure. The unit as tested today might be a little much for the average user and consumer. While power consumption is really good for what it is, it might be a little high for consumers, for you we can strongly recommend the dual-core models. But I will make a side-note: right now each household might have 3 or 4 PCs all with their own storage units. Laptops, Tablets, Smart-phones, Smart TVs and media boxes streaming series and movies and so on have grown into the living room. When you think about it, doesn't it make a lot of sense to have a bit more of a powerful centralized server in your house-hold? NAS units like these will easily last you 5 to 10 years, so in the grand scope of pricing it might just be a very relevant purchase. Criticisms then, well I do not really have them other than two observations; for a flagship NAS unit I would have liked to have seen some sort of power failure UPS functionality. And yeah, an optional 5 or 10 Gbit Ethernet jack would have been nice as in the not too long future we will all make that move. Other than that the unit is future proof, even with the nice upgradable memory configuration. Building a media center? This AS6404T also comes with an HDMI 1.4b output that you can use. Install Kodi (available app) and your NAS will be able to play back Full HD content, even Ultra HD and HD audio streams. Though we doubt you'd be placing a NAS unit next to your TV. The new ADM 3.0 software suite looks promising. Overall it's two, maybe even three thumbs up for the AS6404T, this beast of a NAS can handle anything you throw at it and does it fast, very fast. Combined with excellent power efficiency and a massive software feature set these units are the top dog NAS servers out there. Centralized storage guys, in its best form. It's a steep investment, but you'll never look back or have regrets, that is a guarantee."